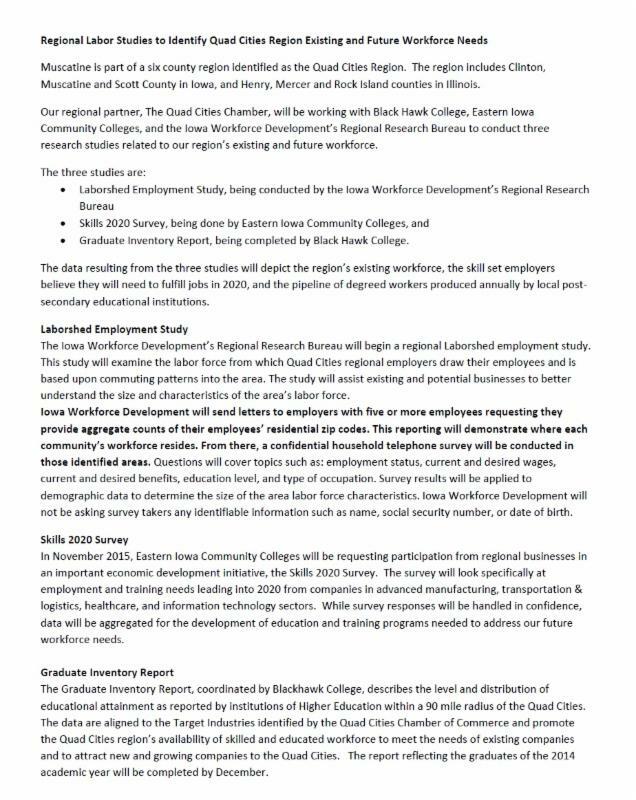 Our regional partner, The Quad Cities Chamber, will be working with Black Hawk College, Eastern Iowa Community Colleges, and the Iowa Workforce Development’s Regional Research Bureau to conduct three research studies related to our region’s existing and future workforce. Businesses in Muscatine County will be surveyed. For more information on the study, please see enclosed document. 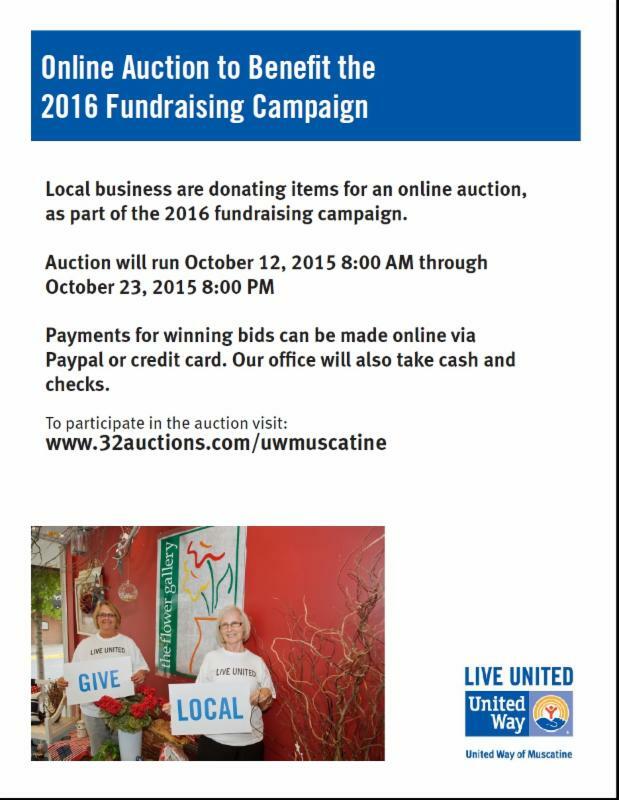 United Way’s Online Auction Now Open! Purchase Items to raise funds for United Way’s 2016 Fundraising Campaign! Online auction available now through October 23rd at 8pm. Visit www.32auctions.com/uwmuscatine to participate in auction. Go on, do it – it’s for a great cause! 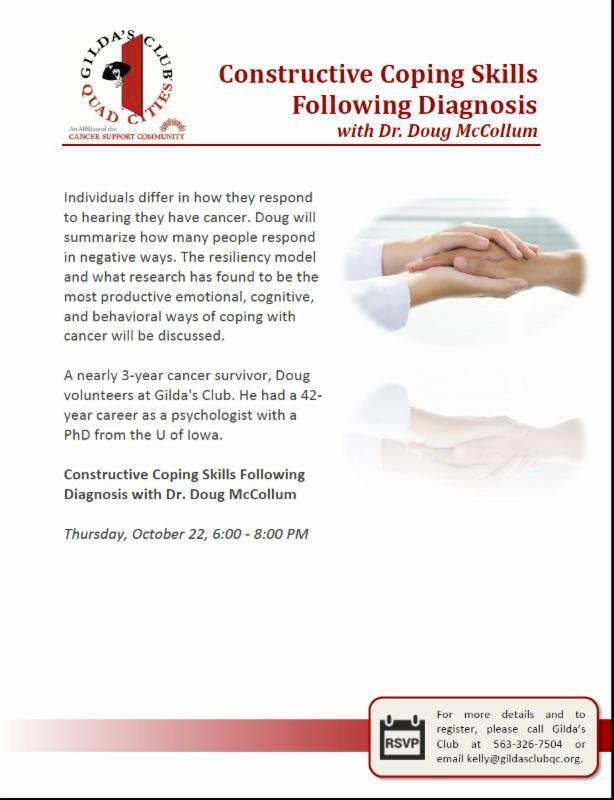 Join Dr. Doug McCollum, three year cancer survivor, volunteer, and psychologist from the University of Iowa in “Constructive Coping Skills Following Diagnosis” on Thursday, October 22nd from 6 – 8pm at Gilda’s Club, 1234 East River Drive, Davenport. For more details and to register, please call 563-326-7504 or email Kelly. 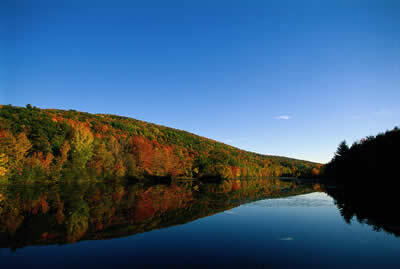 Visit http://www.gildasclubqc.org/ for more information. 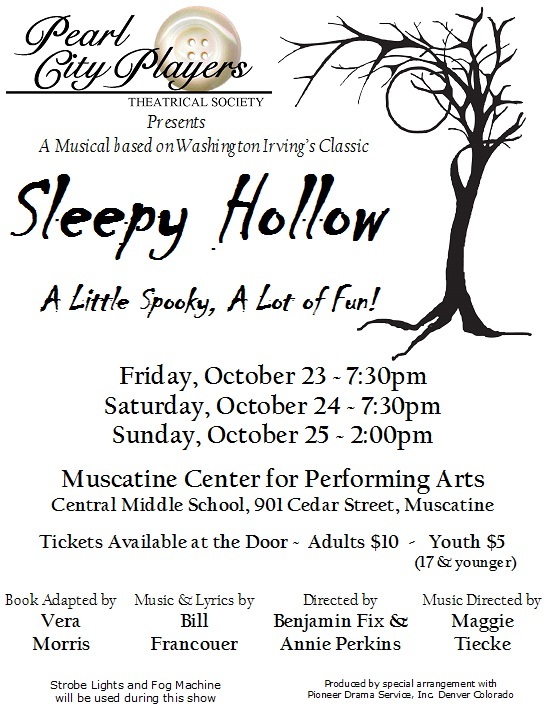 Mark your calendars now for the presentation of “Sleepy Hollow” by the Pearl City Players Theatrical Society at the Muscatine Center for Performing Arts, Central Middle School, 901 Cedar Street, Friday October 23rd through Sunday the 25th. Tickets available at the door. See Flyer for performance times. Bring your appetite and join us for a great cause! 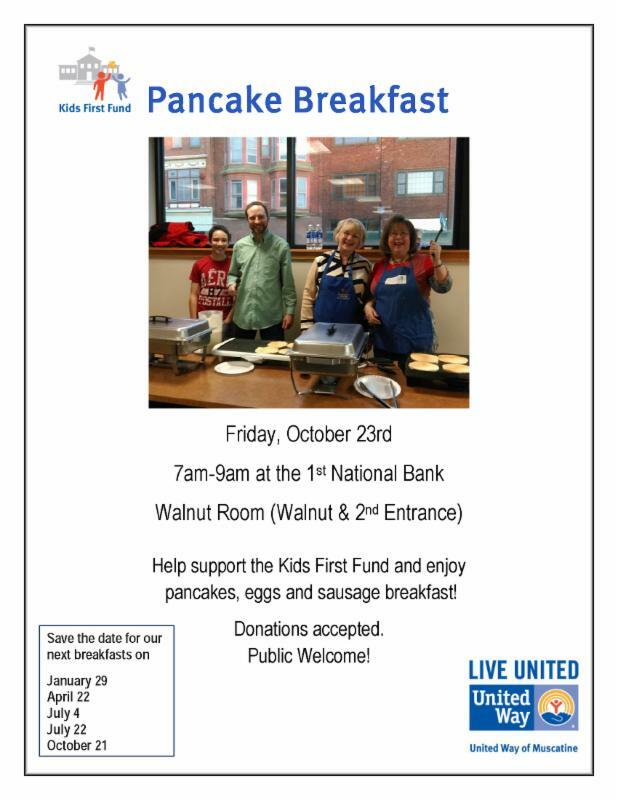 United Way is having their annual Kids First Pancake Breakfast on Friday, October 23rd from 7am – 9am at First National Bank’s Walnut Room, corner of Walnut and 2nd Street. Pancakes, eggs and sausage. Yum, Yum! 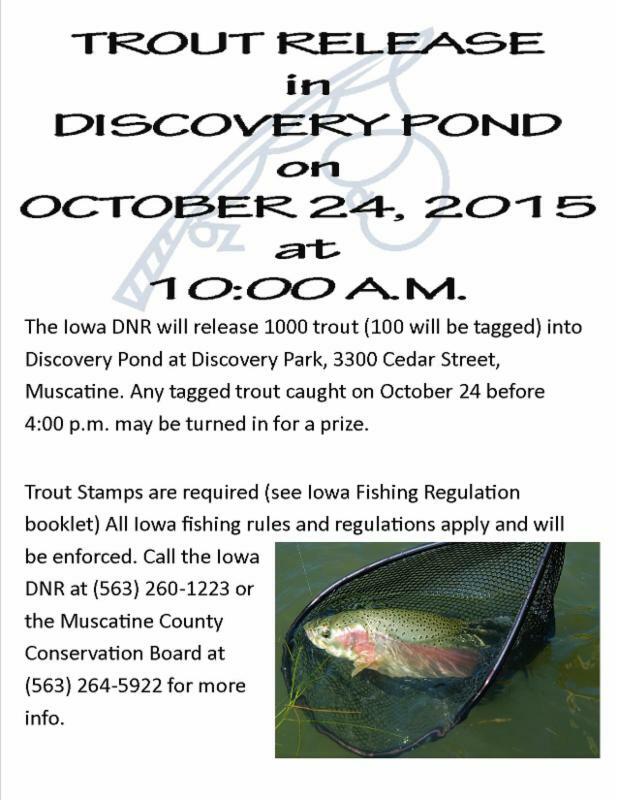 The Iowa DNR will release 1000 Trout into Discovery Pond at Discovery Park, 3300 Cedar Street on Saturday, October 24th at 10:00am. 100 Trout will be tagged and may be turned in for a prize if caught before 4pm. Trout Stamps and all Iowa fishing rules and regulations will apply and be enforced. For more information, please contact the DNR at 563-260-1223 or the Muscatine County Conservation Board at 563-264-5922. Join us on Wednesday, October 28th for a Blue Zones Celebration. We’re celebrating the new sidewalk on Colorado Street in a Blue Zones way! 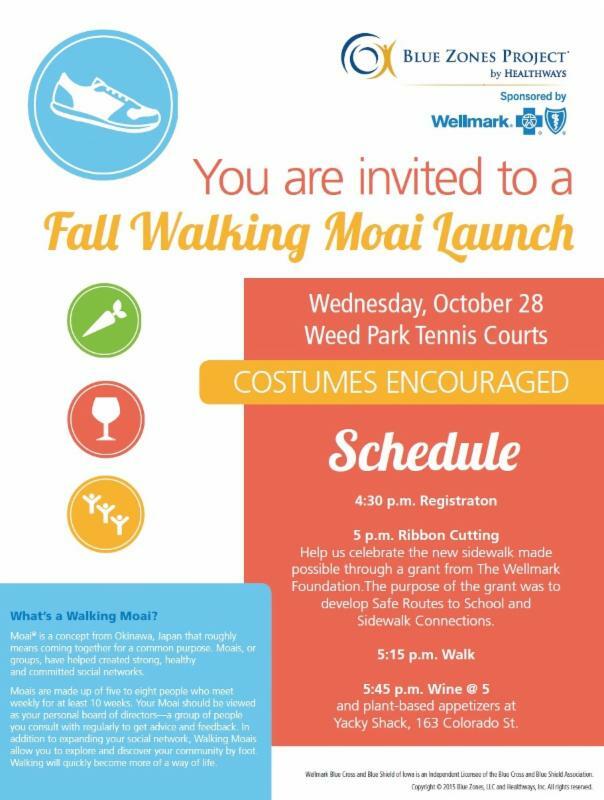 This event begins with registration at Weed Park Tennis Courts at 4:30pm and a ribbon cutting for the new sidewalk at 5:00pm. The walk begins at 5:15pm and we’ll end at Yacky Shack, 163 Colorado, for and wine and plant-based appetizers. Come join the fun and wear your costumes! Halloween at the Y is a safe, indoor trick or treating experience for children 12 years of age and younger. There will be lots of games, activities, crafts, and fun trick or treating! Due to space, this event is divided into two sessions and tickets are $1.00 per child and are available on a first-come, first-serve basis. First Session is 5:00- 6:30pm, Second Session is 7:00-8:30pm. This year will feature a costume contest for each session, with awesome prizes! 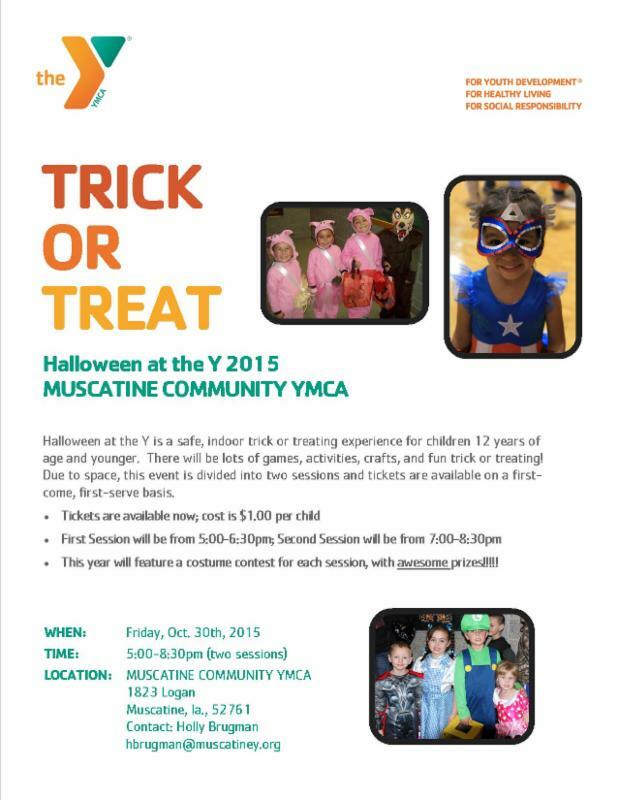 MUSCATINE COMMUNITY YMCA, 1823 Logan St. Contact Holly Brugman at gro.yenitacsumnull@namgurbh if you have any questions. 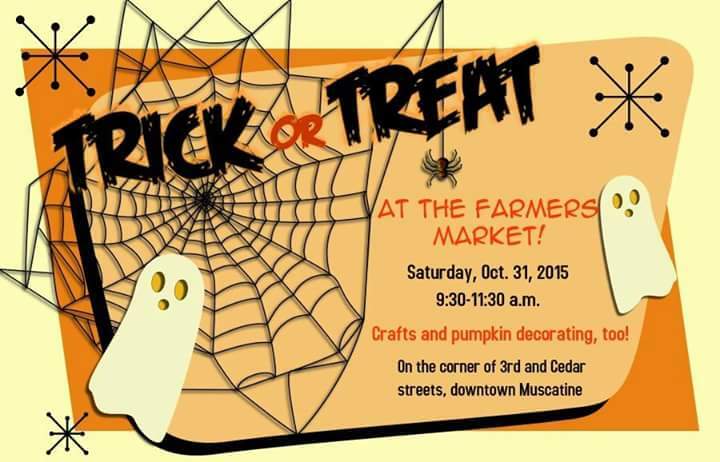 Bring the kids in costume and trick or treat at the Farmers Market, corner of 3rd and Cedar Streets, on Saturday, October 31st from 9:30 – 11:30am. There will be crafts and pumpkin decorating, too! 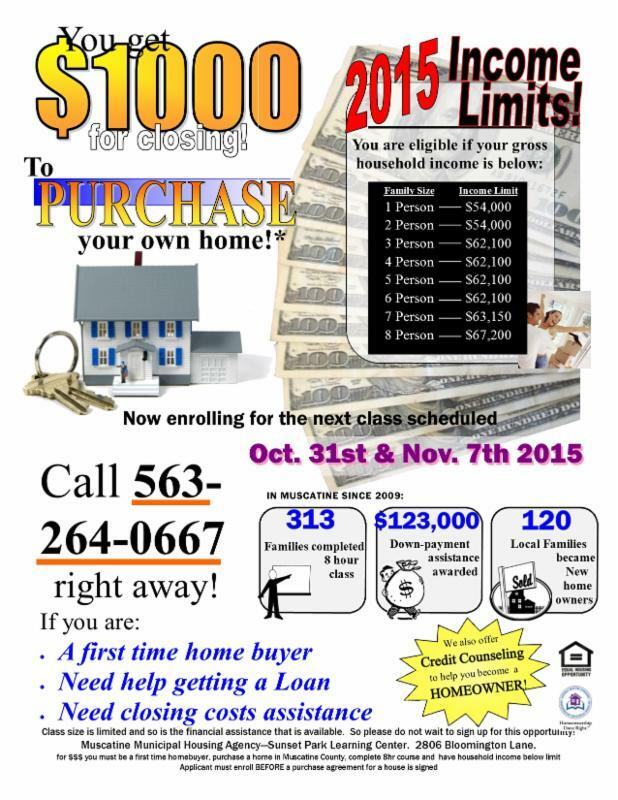 Would you like an extra $1,000 for closing costs to purchase your first home? Now enrolling participants for our 8 hour/two weekend class (4 hours on October 31st and November 7th). Call Chad Yocum at 563-264-0667 right away to register. Hurry, this is the last class for 2015! Support the Muscatine food pantry and the Iowa Hawkeyes! 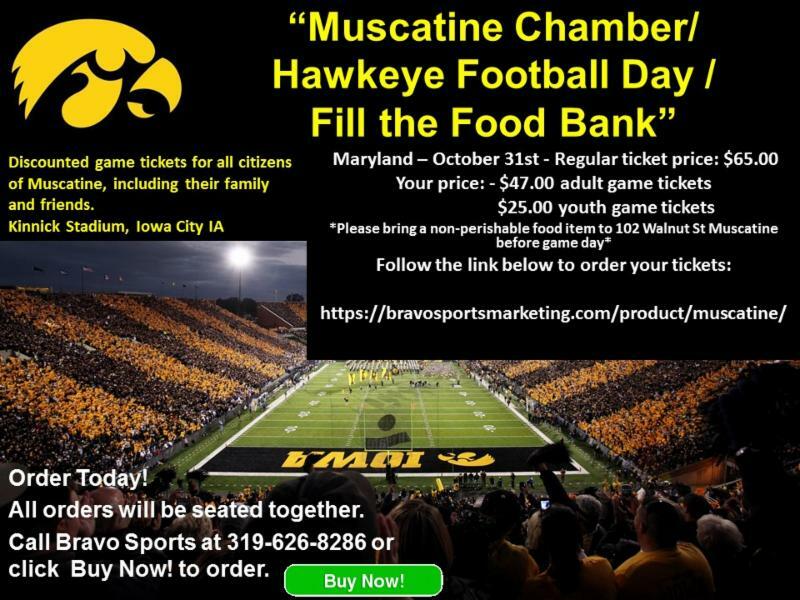 Pre-purchase discounted tickets for the Iowa Hawkeyes vs Maryland game on Saturday, October 31st and then bring a non-perishable food item to GMCCI at 102 Walnut Street before game day! Order your tickets at Bravo Sports Marketing here. 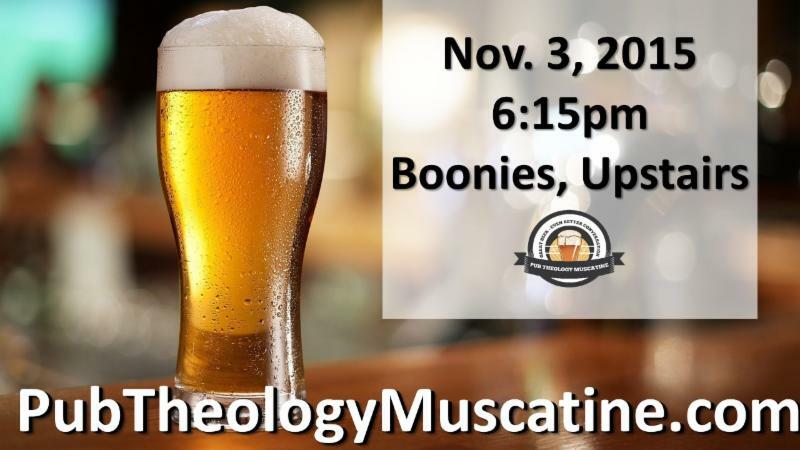 Great Beer, Even Better Conversation… Join us at Boonies on the Avenue (upstairs) on Tuesday, November 3rd, from 6:15 to 7:30pm. Bring your questions and be a part of the conversation. Everyone 21 and over is welcome to attend. Visit www.pubtheologymuscatine.com for more details. 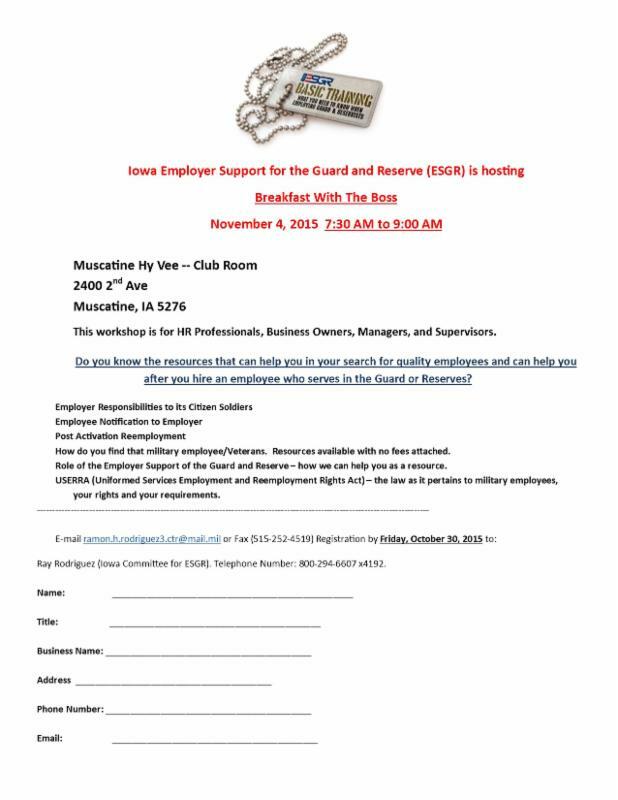 The Iowa Employer Support for the Guard and Reserve (ESGR) is hosting a “Breakfast with the Boss” workshop, on Wednesday, November 4th from 7:30am to 9am in the Club Room at Muscatine Hy-Vee, 2400 2nd Avenue. This is a workshop for HR Professionals, Business Owners, Managers and Supervisors that will assist in the search and employment of those serving in the military. Email lim.liamnull@rtc.3zeugirdor.h.nomar or fax registration form to 515-252-4519 by Friday, October 30th. The program, “The Weyerhaeusers and the Mussers” explains the important relationship between Peter Musser and Frederick Weyerhaeuser both as partners in the lumber business and good friends. Event to be held on Thursday, November 5th at 5:30 p.m. in the Art Center’s Music Room at 1314 Mulberry Avenue. Program is free and open to the public. 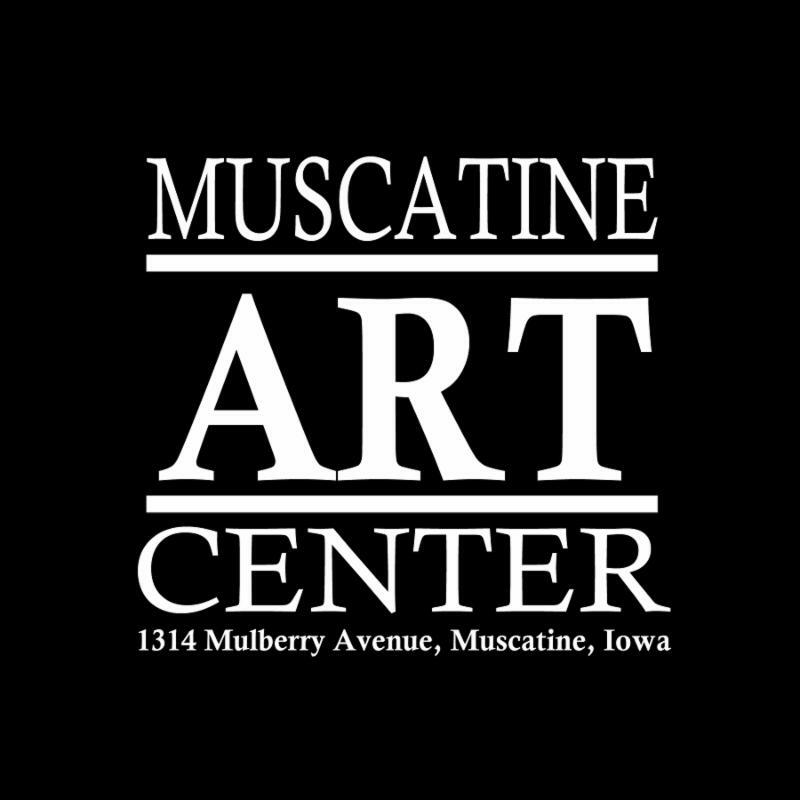 For more information, please visit: www.muscatineartcenter.org. 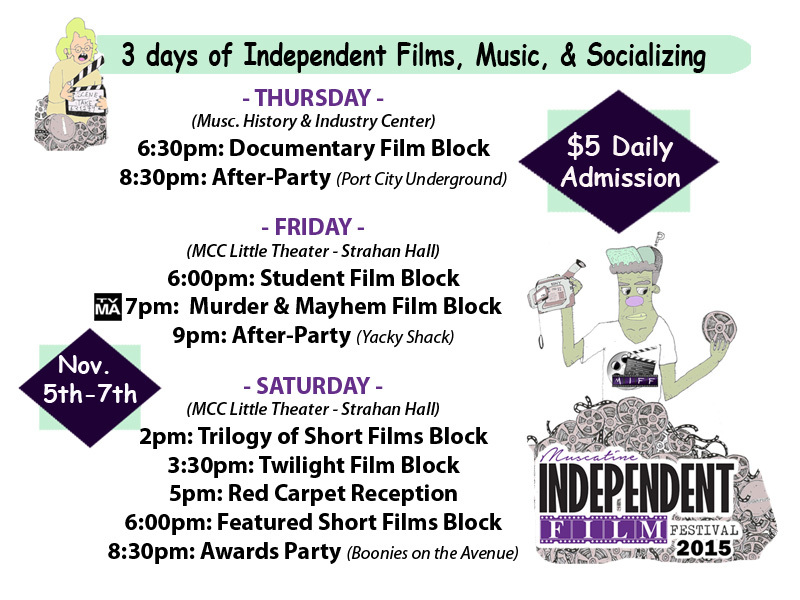 The Muscatine Independent Film Festival (MIFF) is a three day event that serves to showcase and support local & regional film making. Participants will enjoy unique short films, social networking at the after parties, filmmaker Q&A sessions, music, and more. Thursday’s event starts at 6:30 at Muscatine History & Industry Center, Friday’s event starts at 6:00pm at MCC Little Theater – Strahan Hall, Saturday’s event starts at 2:00pm at MCC LIttle Theater – Strahan Hall. Daily tickets will be available at the door for $5.00. See flyer or visit: http://www.dreampostonline.com/MIFF.html for more details. 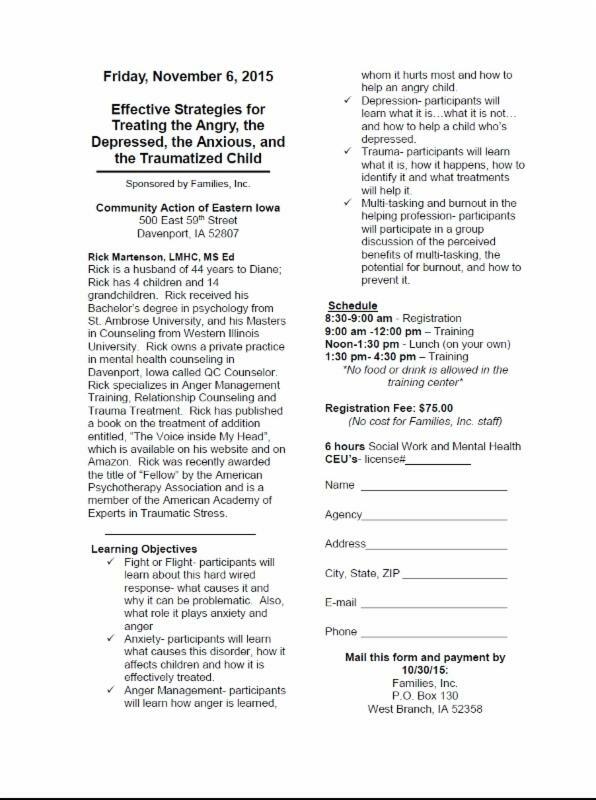 Families Inc. is hosting the workshop “Effective Strategies for Treating the Angry, the Depressed, the Anxious, and the Traumatized Child” on Friday, November 6th from 8:30am to 4:30pm. Workshop to be held at Community Action of Eastern Iowa, 500 East 59th Street, Davenport. Cost is $75 and requires registration by October 30th. No cost for Families, Inc. staff. Six hours Social Work and Mental Health CEU’s may be awarded. 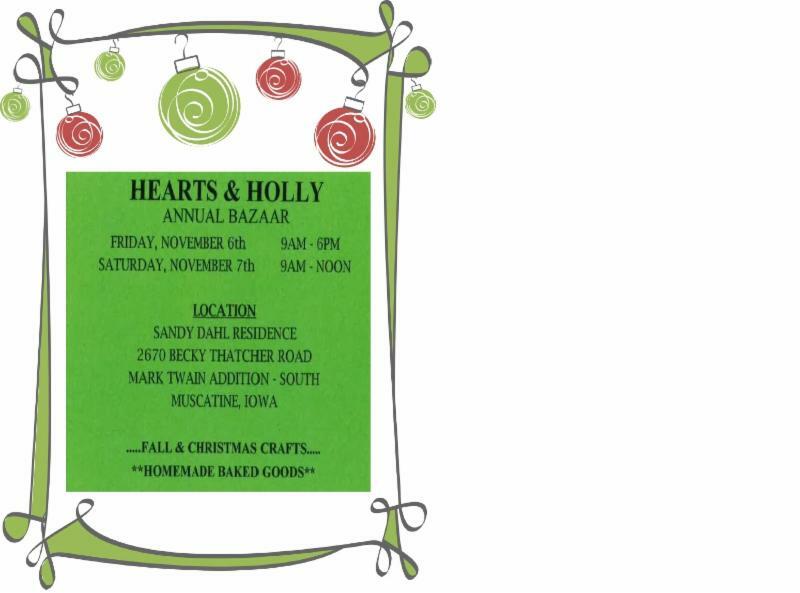 Start your fall decorating and holiday shopping early on Friday, November 6th from 9 am to 6pm and Saturday, November 7th from 9 am to Noon. 2670 Becky Thatcher Road, South Mark Twain Entrance. Don’t miss the unique gifts and crafts for fall and holiday decorating! They’ve got homemade baked goods as well! 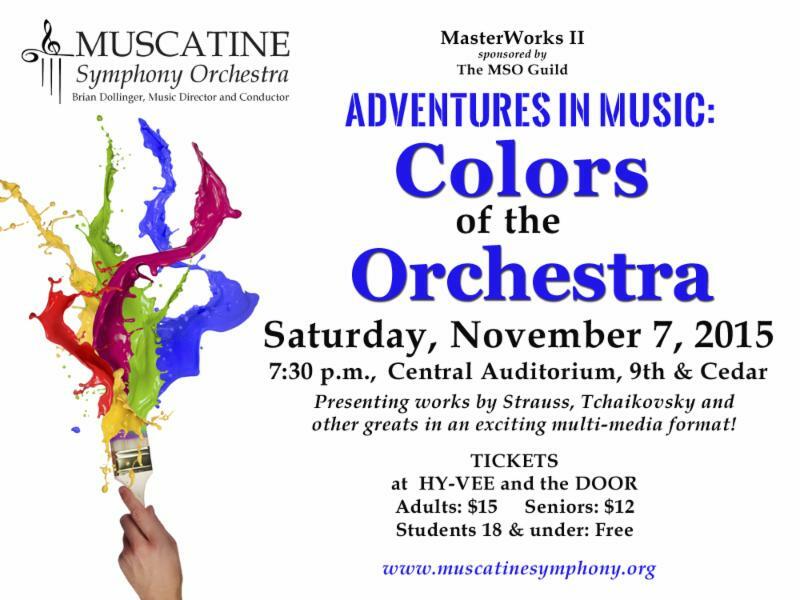 Mark your calendars and purchase your tickets at Hy-Vee for the Muscatine Symphony Orchestra’s (MSO) “Colors of the Orchestra” concert. Saturday, November 7th at 7:30pm at Central Auditorium on 9th and Cedar Streets. Concert features works by Strauss, Tchaikovsky and other greats in an exciting Multi-media format. Ticket are $12 for Seniors, $15 for Adults and Students 18 and under are free. Tickets will also be available at the Door. 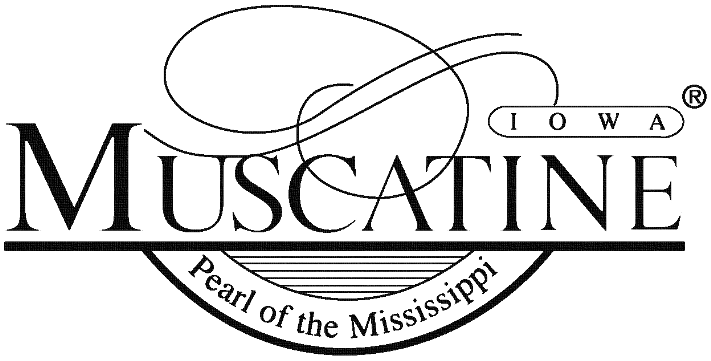 Visit www.muscatinesymphony.org for more information. Available from opening to close, Veterans and Active Military may dine with Applebee’s for free on Wednesday, November 11th. Selected menu items and requires proof of service. 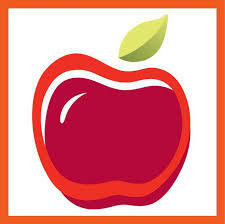 See http://www.applebees.com/veteransDayMenu for more information. Applebee’s Thank You for your service! 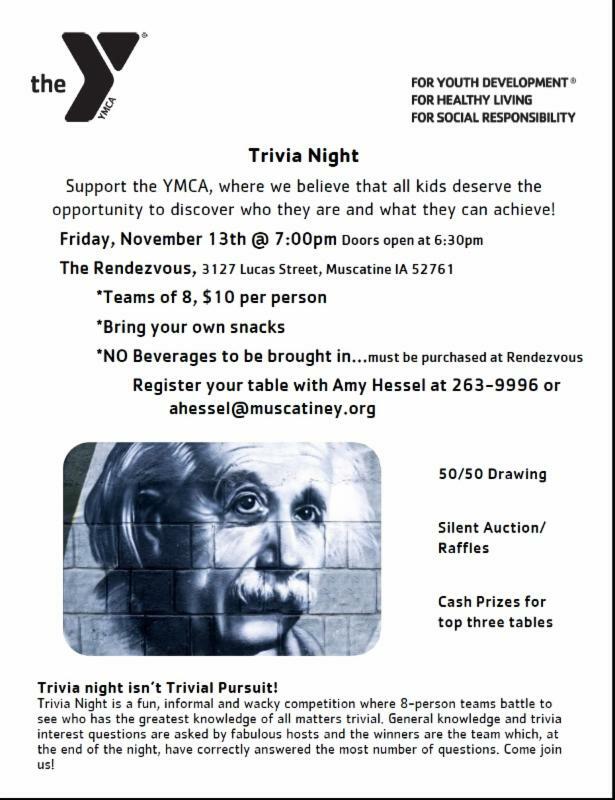 Support the YMCA, round up your team and join us for Trivial Night on Friday, November 13th @ 7pm. Event to be held at the Rendezvous, 3127 Lucas Street. Doors open at 6:30pm. Bring your own snacks. Sorry, no beverages! 50/50 Drawing, Silent Auction and cash prizes! Register your table with Amy Hessel at 563-263-9996 or at gro.yenitacsumnull@lesseha. 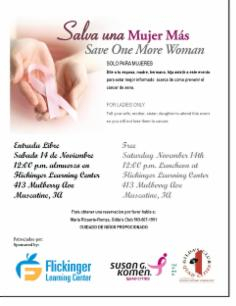 Please attend the 2nd Annual Hispanic Breast Cancer Awareness Luncheon on Saturday, November 14th at Noon at the Flickinger Learning Center, 413 Mulberry Avenue. For more information, please call Maria Ricaurte-Romza from Guilda’s Club at 563-607-1951. Kick off the holiday season shopping with us! 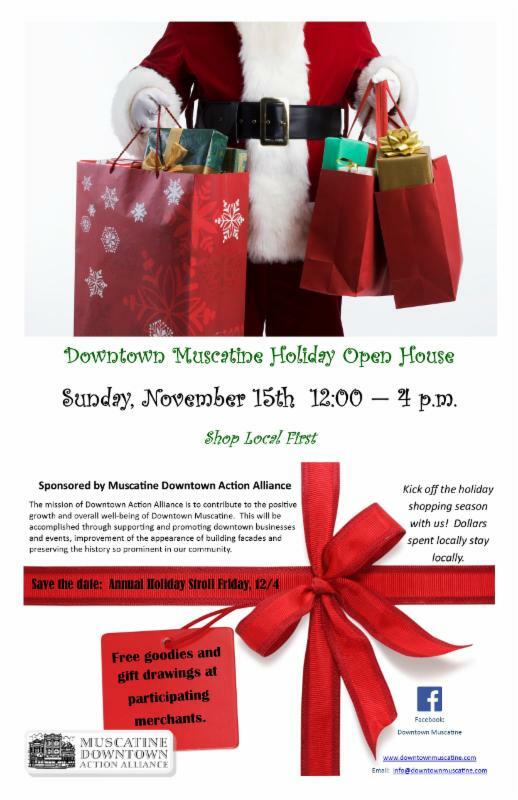 Shop Downtown Muscatine Holiday Open House on Sunday, November 15th from 12:00pm – 4:00pm. This event is sponsored by Muscatine Downtown Action Alliance. Free goodies and gift drawings at participating merchants. Help us congratulate Lifetime Dentistry on their new office! Imagination Library – Children Receive Free Book Every Month til Age 5! Through support from the United Way of Muscatine, Mississippi Bend Area Education Agency, Community Partnerships for Protecting Children and Community Foundation of Greater Muscatine youth 0-4 in Muscatine County are now eligible to sign up to receive a free book by mail once a month till their 5th birthday. Visit http://www.extension.iastate.edu for more information. 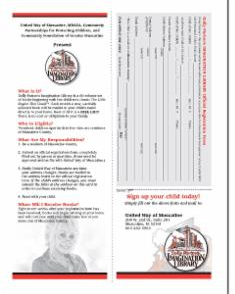 Complete attached enrollment form today to get started! Want to earn thousands in scholarships? 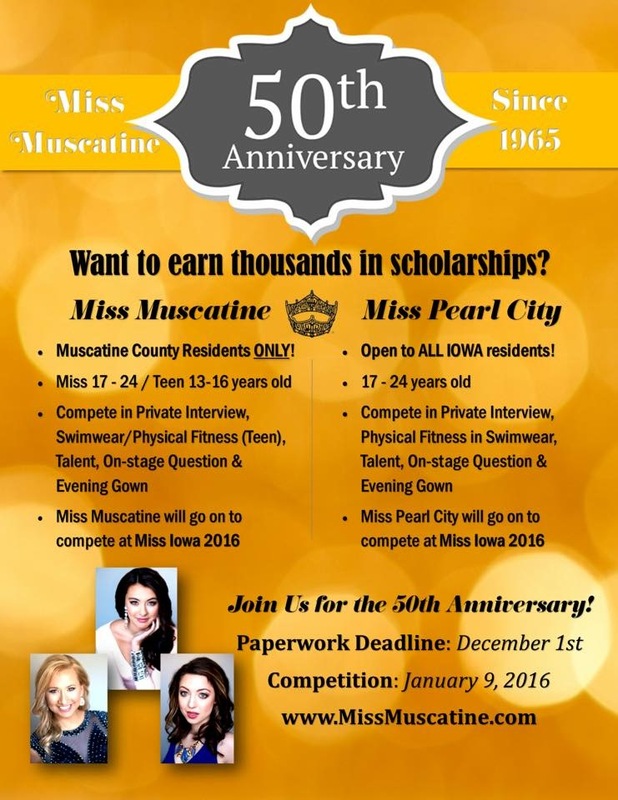 Have you considered vying for the title of Miss Muscatine or Miss Pearl City? Competition is Saturday, January 9th, 2016. Deadline to submit application is December 1st. For more information, visit www.missmuscatine.com. 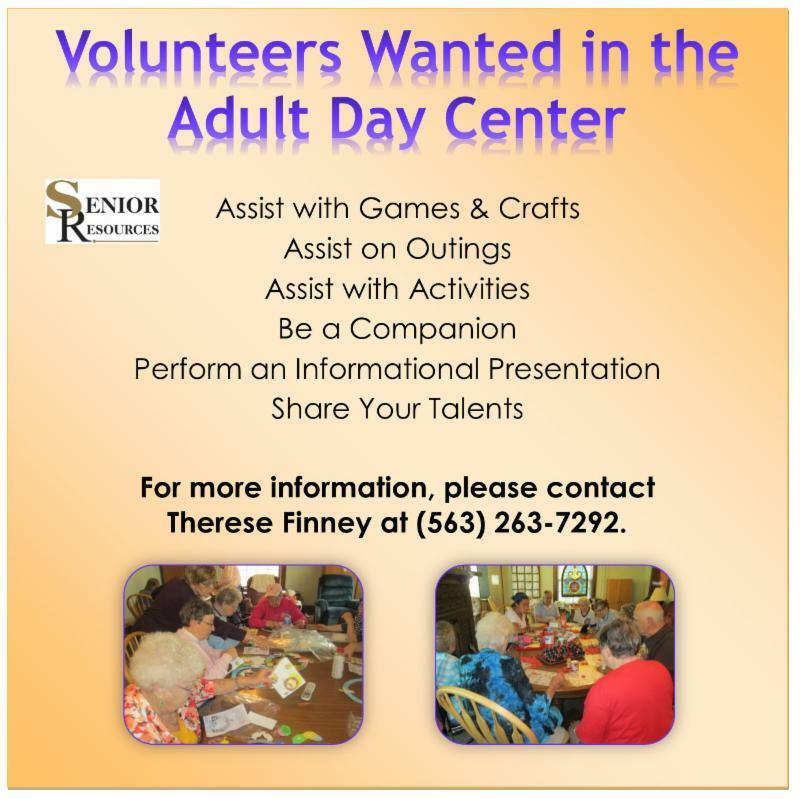 SR Resources needs volunteers to assist with games & crafts, outings, activities, giving informational presentations and sharing of your talents, and resident companions. If interested or if you would like more information, please contact Therese Finney at 563-263-7292. The YMCA is a place for teens to be, belong and become! 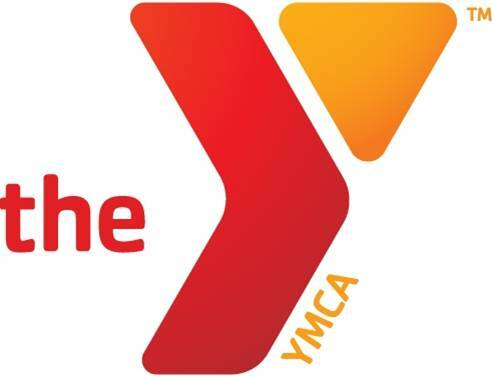 Check out the programs offered at the YMCA that promote youth development, healthy living, and social responsibility. Click here to view the Teen programs.